Shopping Carts are nothing new to the web. Almost everyone with a computer at home has bought something online at some point. Why, then, is it that the most popularshopping cart solutions feel like they are straight out of the ‘90s? Don’t settle for a boring, old school shopping cart. It’s becoming harder to attract users and sales with older designs and layouts. How many products am I going to list? 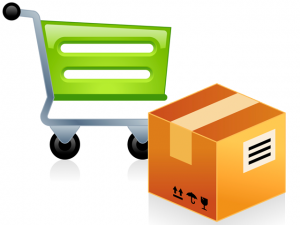 Some online store products are suited for stores with a relatively low number of different products. “Enterprise” solutions are typically marketed at business owners with more than 100 products, but can also be more expensive. Figure out which option will be the most cost-effective for your business needs. Keep in mind that some services may offer dynamic options, allowing you to change your shopping cart needs as your business expands. Do I need a cart, or am I offering several different products? Some stores have templates for a store that is only selling 1 or 2 products, and some offer support for as many as 50,000 products at a time. If you’re only offering one or two products, a service like PayPal might be a better choice, since you’ll only need to deal with a small inventory. If you know your business will be expanding, then you might want to plan for the future and go ahead with purchasing a shopping cart option. Would I rather pay a higher initial setup fee or a smaller monthly fee? Some stores offer their product as source code while some offer a hosted solution. Can you install web software yourself? If not, you will require a hosted solution. Most hosted solutions don’t charge a setup fee, but they will skim 1-3% off of each sale as a transaction fee. If this is unacceptable, some hosted solutions offer a large setup fee with no transaction fees. How easy is it to set up the shopping cart? Setting up a cart with a hosted solution may be easy, but that might not be the case with a shopping cart you have to code into your website. If you don’t want to deal with the hosting costs, look for a shopping cart that has good, straight-forward tutorials to assist you with getting it set up. There are many websites that offer tutorials for a number of small business needs, including shopping carts. Magento Go is suitable for 100 SKUs to 10,000 SKUs. Free setup and no transaction fees. Shopify is by far the easiest to use. Free setup, 2% transaction fee, and a monthly fee. 100-50,000 SKUs. Yahoo Store is also a good pick. Designed for ease of use, it walks you through setup and helps you market your business.